Clara A. Mabry, 83, of Saint Marys, died September 12, 2018, at Lima Memorial Hospital. She was born June 26, 1935, in Mayhan, West Virginia, the daughter of Andrew and Opal (Salter) Browning. She married Arvil Mabry, and he preceded her in death. She is survived by her children: James Eddie Mabry of Saint Marys; Larry “L.T.” Mabry of Montezuma; Rita Kinstle of Wapakoneta; Sherry Mabry of Coldwater. She is also survived by 13 grandchildren and 13 great-grandchildren. She was preceded in death by her parents; by her sons, Paul Mabry and Robert Mabry; by a grandson, Tommy Mabry; a great-grandson, Dylan Everage; by her siblings: Paul Cooksey; Robert Browning; Ed Browning; James Browning. 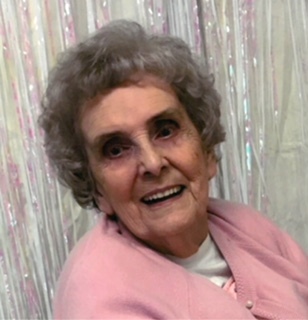 Clara was a homemaker, and she loved music and spending time with her family. Private family graveside funeral rites will be held 10:00 A.M. Tuesday, September 18, 2018, at Elm Grove Cemetery. Clara’s funeral arrangements are entrusted to the Miller Funeral Home, Saint Marys.